An enforced team change with Bayley Mummery having to withdraw due to a recurring knee injury tweaked during the warm up was not a good start for the Met. With Mikel Platt stepping up to start the game a change in the original formation plan was also necessary. Nevertheless Met started well with Ethan Chislett just wide with a chance after 5 minutes. Ten minutes later Max Blackmore was forced to hurry a shot which just cleared the bar. With the Met dominating play Jon Hippolyte was causing all sorts of problems with his pace down the right wing. A nasty mid air clash of heads saw Luke Robertson and Calvin Disley receive extensive treatment with Disley finally emerging with a significant bandage and a new No 18 shirt. 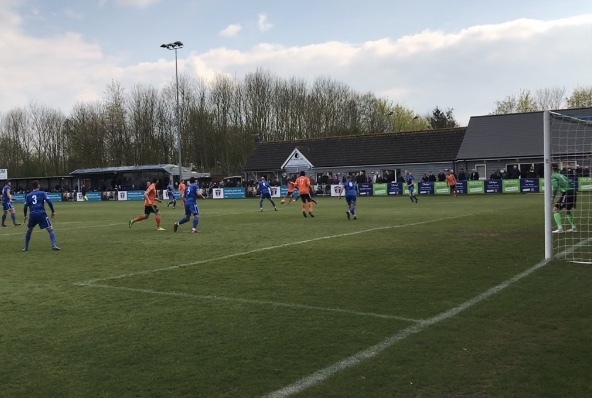 The delay affected the tempo of the game but right on the stroke of half time Marine had their first shot on target comfortably held by a diving Bertie Schotterl.